So what's the answer? It is, as several others have already pointed out (e.g. TILE, TBLE, EPT), to link the transcription to the page-image at the word-level. As the user moves the mouse over, or taps on, a word in the image or in the transcription the corresponding word can be highlighted in the other half of the display, even when the word is split over a line. 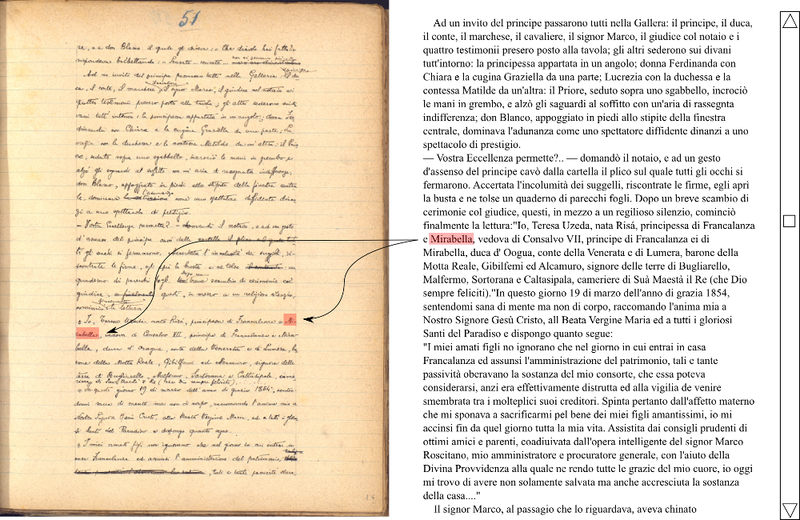 And if needed the transcription can be scrolled up or down so that it automatically aligns with the word on the page. And now the ‘excise’ drops back to a low level.